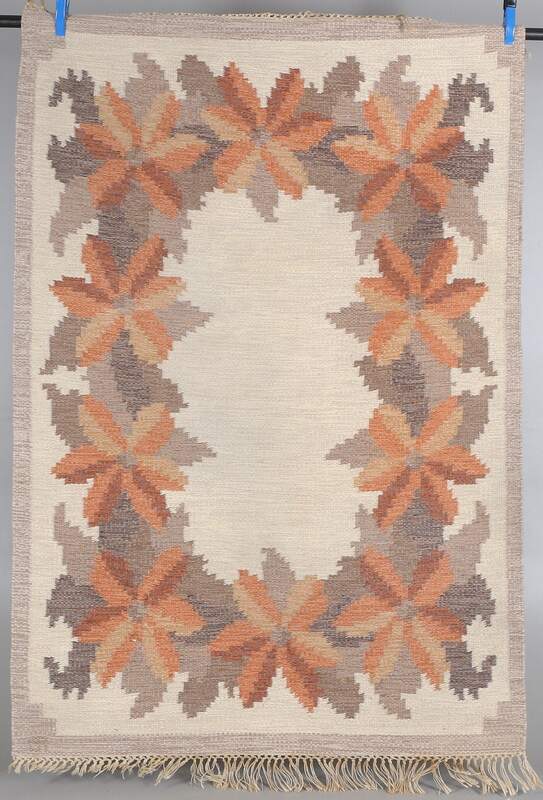 Swedish rolakan flatweave, composition with autumn leaves, 137 x 202 cm, signed AB. 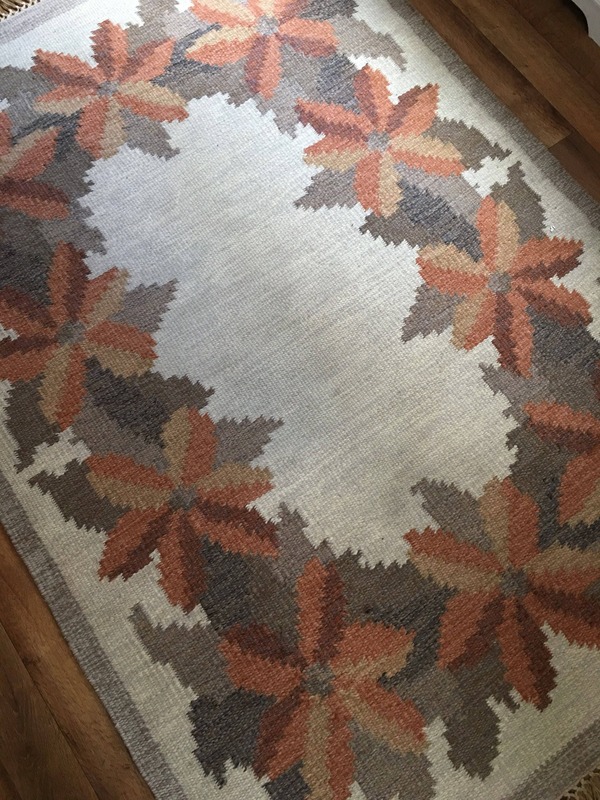 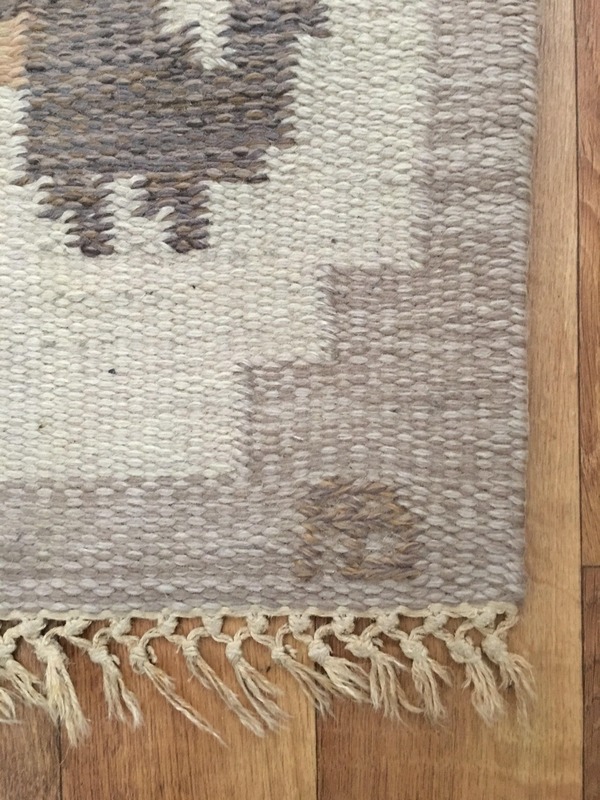 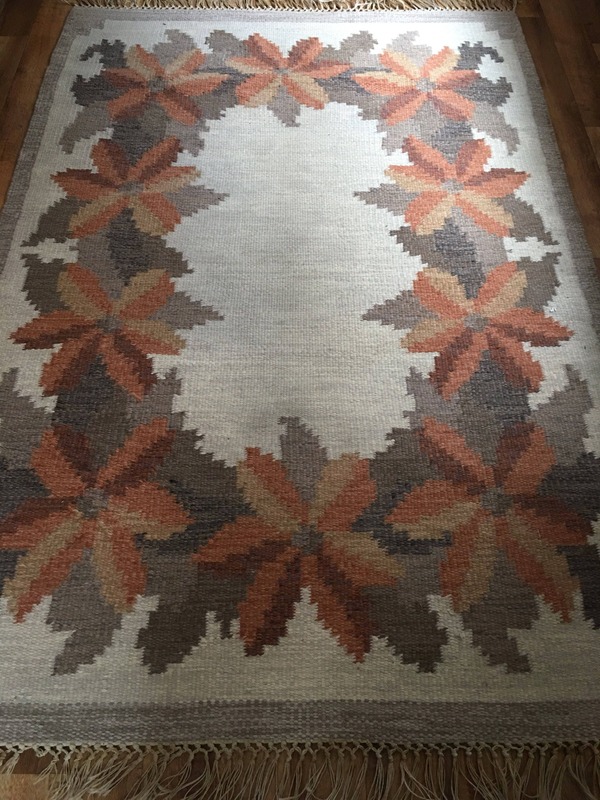 Large Swedish flatweave woollen rug in muted tones, featuring autumnal leaves in a border. 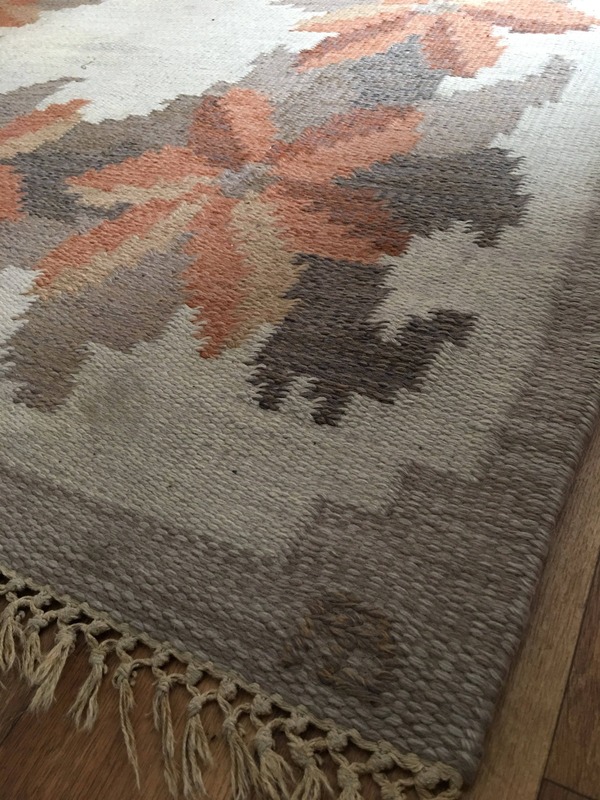 Condition is good with minimal wear to fringes.